Sports Party will be available on October 30, 2018 on Nintendo Switch. Sea and Sun Sports are now within reach, accessible to anyone, everywhere! 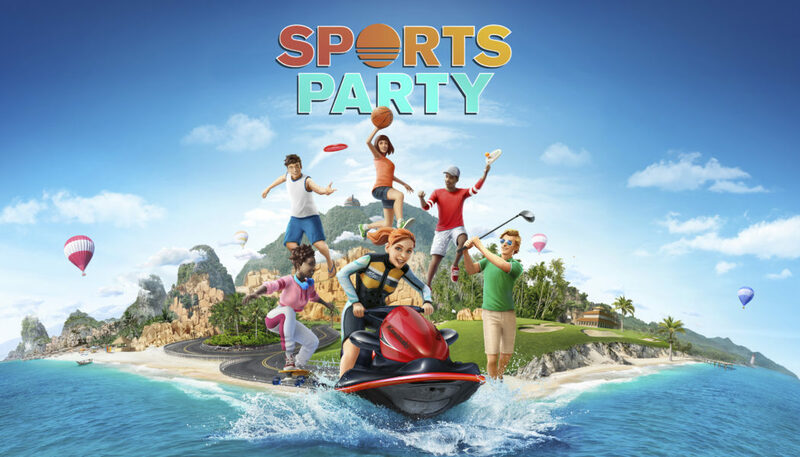 Sports Party takes you to the seaside where the beach meets the mountain to discover six outdoor sports. 9 different golf tracks, win the race or do as many tricks as you can on your Jet Ski! • Fun for Everyone: From kids to grandparents, everyone is going to love the intuitive, easy-to-pick-up controls! With accessible yet challenging gameplay, the game is suitable for all ages and is great fun for the whole family. It is the perfect way to spend time with your loved ones! • At Home and on the Go: Taking full advantage of the Switch technology, up to four players can play at home on their TV or in the tabletop mode. The handheld mode is also available with classic button controls! Have fun with Sports Party wherever you want! • Championship Mode: Challenge your friends and family in a championship where a player is randomly chosen each round to pick the next sport. May the best player win! • A Sunny Environment: Enjoy the positive atmosphere of Sports Party Island and discover idyllic beaches, the marina, cliffs and many other amazing landmarks where the crowd is waiting to cheer you on! • Customizable Avatars: Customize your avatar in your very own style, from skin color and beards to tops, accessories and shoes. New items will be unlocked as you progress! • Light Exercise: Have a real feel-good moment with Sports Party! All you need to do is pick up a Joy-Con and follow the intuitive and natural moves of the game to keep yourself active. Being healthy has never been so fun!